Our WVCO Annual Meeting is scheduled for Tuesday, March 5th at 6:30 PM at the Fire Station on Outer Loop and Williamson Valley Road. PLEASE NOTE: The start time has changed – it now begins at 6:30pm rather than 6:00pm. DON’T FORGET TO BRING YOUR OWN CHAIRS – There are no chairs at the Fire Station. Per our By-Laws, the Board of Directors is elected by the Membership present at a WVCO Meeting every odd year. For our purposes, we do this at our Annual Meeting. We are required to have a minimum of 5 Board Members and there are no term limits. Having received no response from any potential applicants for an interview, our Nominating Committee has selected a slate of candidates, most from our existing Board, for our Board of Directors to be voted on at our Annual Meeting, as follows. Note: Per our By-Laws, Officers shall be elected from the NEW Board of Directors immediately following the Annual Meeting. We have no speaker scheduled this year, so our Annual Meeting will be strictly a business meeting. In addition to our Board Election, we will be reviewing Year Ending 12-31-18, as well as looking at 2019’s activities, etc. The Election is very important and all current 2019 members in attendance may vote for our New Board of Directors. Please attend. Light Food and Beverage (water) will be available. We would love to see you there! We are pleased to say that our 501c3 application has been completed, submitted and is pending approval. It’s been a long haul, but we are almost there! February of 2019 is not that far away. We want to remind you that per our ByLaws, the Board of Directors is elected every 2 years in the odd year. Once that election takes place, the new Board elects the officers. Some of our Board may choose to run again, and some may not. To date we are aware of two members who are not running again. We need new people to step up to help us continue. WVCO offers a good service to the community by, for example, trying to keep you informed on important issues that may affect this area, providing educational articles, holding community meetings with a variety of speakers, picking up trash and much more. And let’s not forget our annual BBQ! We feel it is important for you to know that the Board fears that if we don’t get new volunteers who are willing to work, we may have to consider dissolution of this organization. That is difficult for us to say, but with the same people doing everything all the time, the end is rapidly approaching. We would hate to see that happen. So please, think about helping. The more people we have, the less work there is to do. It is a great bunch! 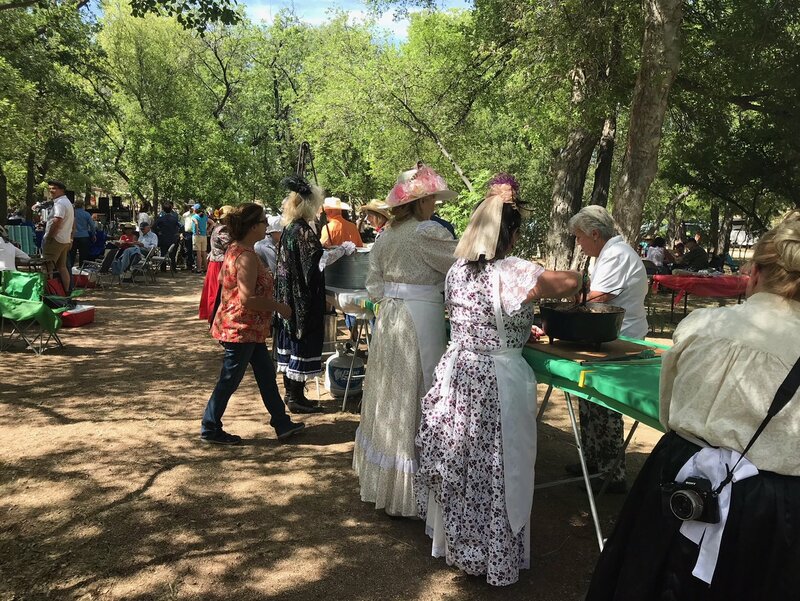 If you think you might consider helping but would like to know more, please contact Diane McKelvey at 928 899-6002 or by email at freddiane@mtecom.net, or Sandi Brown at 928 445-3767 or by email at clbsnr@msn.com. We would welcome the opportunity to to meet with you! this achievement has been many years in the making. when the supply of fly ash, the dominant form of pozzolan in use for decades, is shrinking significantly. Please use the following links to follow this project. 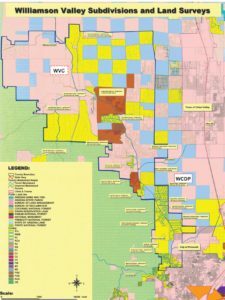 You may also want to visit KMC’s website at www.kirklandmining.com to access this BLM link and view their information center about the unique High Quality Pozzolan project. KMC encourages all interested parties, including their supporters, to review and utilize the information collected by BLM to support comments and ensure all public input is adequately included in the review. Chlorophyll, the green pigment in plant leaves, captures light energy then transfers and stores it as chemical energy in sugars and starches: this is the process of photosynthesis. Although chlorophyll is the best known of the plant pigments, other pigments are present in plants. Carotenoids are the yellow and orange pigments in carrots and other yellow/orange vegetables. Anthocyanin pigments are purple and red plant pigments and found in red cabbage, chard, and turnips. Carotenoid and anthocyanin pigments are present in most plant leaves throughout the growing season, but are masked by chlorophyll. As fall approaches, we may observe leaves changing color from green to yellow, orange, red, and even purples. Fall leaf colors are produced when weather interacts with physiological plant processes to cause color changes. Chlorophyll formation also slows down. A decrease in green pigment allows the yellow pigments to become more visible. Chlorophylls and carotenoids are held within membrane-bound structures within the leaves called plastids. Anthocyanins are produced by different processes and are found in the cell sap (cytoplasm). Fall weather conditions favoring formation of brilliant red autumn color are warm sunny days followed by cool, nights with temperatures below 45 degrees F. Much sugar is made in the leaves during the daytime, but cool nights prevent movement of, sugar from the leaves. When this occurs, sugar breakdown process changes leading to the production of anthocyanin and results in red to purplish fall colors. Different plant species have varying ratios of chlorophyll to other pigments. They also have widely varied physiological processes and leaf chemistry. This is the reason for the wide variation in fall color between deciduous tree species and even individuals within the same species. Aspens have little or no anthocyanin while Rocky Mountain maples have enough to make them pink to red. Purple leaf plum trees have abundant anthocyanins throughout the growing season. Landscape trees that provide the most reliable fall color in the Verde Valley are: sweet gum (Liquidambar styraciflua) which has many named varieties that produce yellow, orange, red, and purple fall color and Chinese pistache (Pistacia chinensis) which produces rich red fall color. As for native plants, Virginia creeper (Parthenocissus vitacea), three-leaf sumac (Rhus trilobata), and bigtooth maple (Acer grandidentatum) produce great red color while quaking aspen (Populus tremuloides) and Arizona ash (Fraxinus arizonica) produce yellows. Another small, annual plant that is turning red everywhere on the forest floors is fetid goosefoot (Chenopodium graveolens). It turns a deep red and has a strong, sage-like smell. What happens to the deciduous leaves after the fall color show? The technical term for leaf drop is abscission. In deciduous trees, the attachment of the leaf to the stem is designed to fail at the proper time. This abscission zone is characterized by two or more layers of cells: some with poorly developed cells walls to make it purposely weak and others that form a protective layer that can be “walled off” and sealed after the leaf drops. A leaf is an expensive investment for any plant. To simply allow it to drop would be a great waste. Before leaves drop, many complex molecules are broken down into smaller units and transported from leaves into stems, down the trunk, and into the roots. This allows deciduous forest trees to survive in nutrient poor environments by salvaging many of the amino acids, sugars, lipids, and nucleic acids from the leaves before they fall. After the tree has recycled many of the materials, other processes take over. Auxin (a plant growth hormone) levels decrease in the leaf, ethylene production increases, and enzymes are secreted that weaken the abscission zone to the point of separation. The leaf drops to the ground. Here, they lie until soil microbes, worms, and insects help decompose them to release the remaining nutrients for the plants to use again. The organic matter contained in the leaves is eventually broken down even further until all that remains is humus which improves soil structure and tilth. Sometimes fall colors are not as brilliant as we’d like. On occasion, hard freezes can damage leaves before the nutrient salvage process is complete. This prevents the brightest colors from showing through. Conversely, very warm autumn temperatures accelerate the processes within leaves and thus shorten the length of time that the colorful leaves remain on plants. Warm temperatures also reduce the amount of red pigments produced in leaves. What will this year bring? See the online version for fall foliage photos (see URL below). Follow the Backyard Gardener on Twitter – use the link on the BYG website. If you have other gardening questions, call the Master Gardener help line in the Camp Verde office at 928-554-8992 or e-mail us at verdevalleymg@gmail.com and be sure to include your name, address and phone number. Find past Backyard Gardener columns or provide feedback at the Backyard Gardener web site: http://cals.arizona.edu/yavapai/anr/hort/byg/. Ladies and Gentlemen! How about a fun few hours outside making new friends while improving our community! Our next trash pick up is scheduled for Monday, January 28, 2019 at 9:00am. 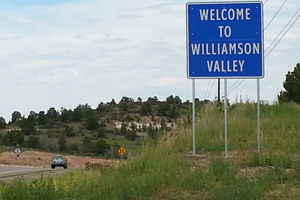 We pick up on Williamson Valley Rd between Mile Markers 3 and 4 and we meet at Mile Marker 4. If you would like to help with this effort, we’d be glad to have you. An orange safety vest and “grabbers” are provided. Be sure to bring gloves and don’t forget that sunscreen and water! A hat helps too! Contact Judi Williams at 928-778-1038 with any questions or to sign up! IT’S THAT TIME – OUR 2019 MEMBERSHIP/RENEWAL DRIVE STARTS NOW! PLEASE JOIN US! Annual Membership for 2019 is still only $25.00 per household. WVCO has become a well-recognized and respected organization. The more members we have, the more representative and helpful we can be. It’s a great resource for information. Also, we greatly value your input. Visit the website, come to the community meetings. Let us know how you feel and what your vision is for Williamson Valley. Your contribution and insights are appreciated. REMEMBER, if you are not current with your 2019 membership dues, you will not be able to vote at our Annual Meeting. • Providing education for WV residents through newsletters, emails, community meetings regarding development, zoning, water and roads, as well as informational topics like fire-wise landscaping, native animal issues and, most importantly, keeping our community updated on current happenings affecting WV. • Serving as a voice of the WV community to public officials and organizations. 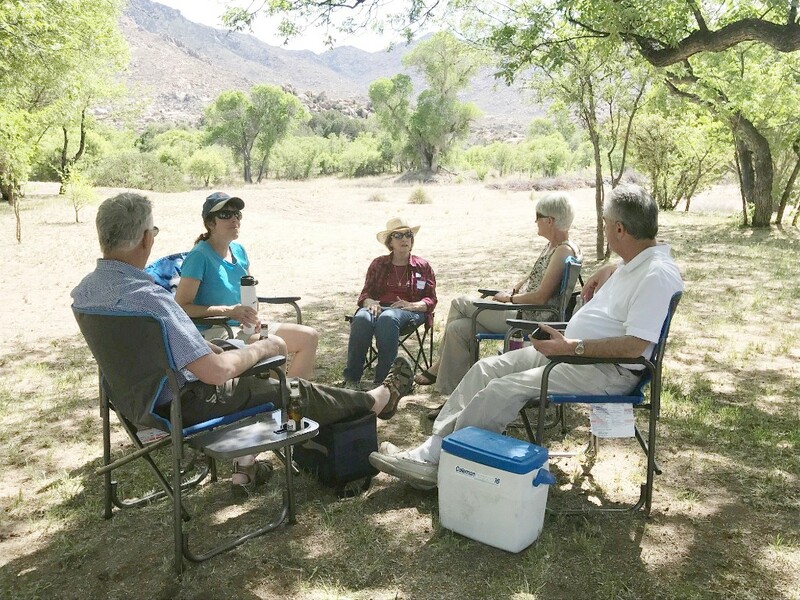 • Advocating for water management and long-range planning, reasonable growth for Williamson Valley while maintaining its rural atmosphere – and much more. REMINDER! We feel it is important for you to know that if we don’t get new volunteers who are willing to step up, we may have to consider dissolution of this organization. At this time, we are trying to condense some of the things we do in hopes that will keep us going, but the bottom line is, without volunteers, WVCO could cease to exist. That is difficult for us to say, but with the same people doing everything all the time, this could become a reality. We would hate to see that happen. So please, think about helping. The more people we have, the less work there is to do. It is a great bunch! 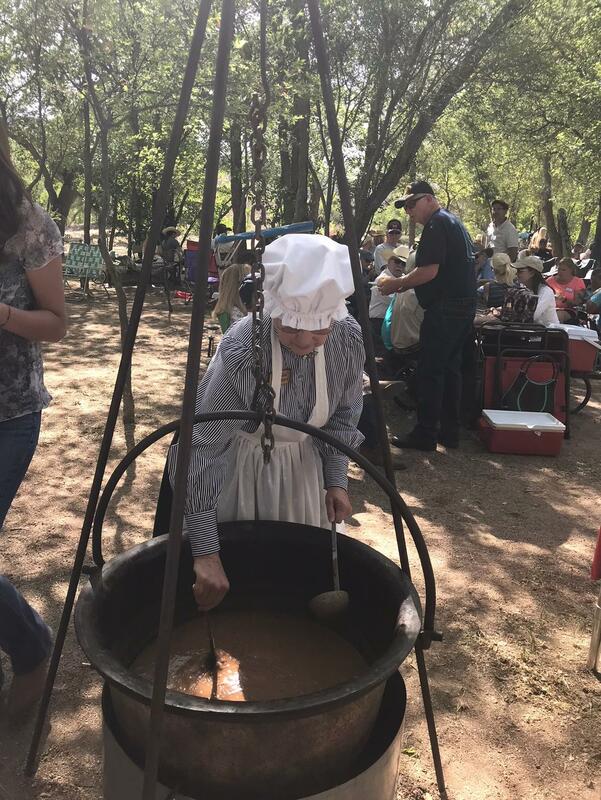 If you think you might consider helping but would like to know more, please contact Diane McKelvey at 928 899-6002 or by email at freddiane@mtecom.net, or Sandi Brown at 928 445-3767 or by email at clbsnr@msn.com. We would welcome the opportunity to meet with you! 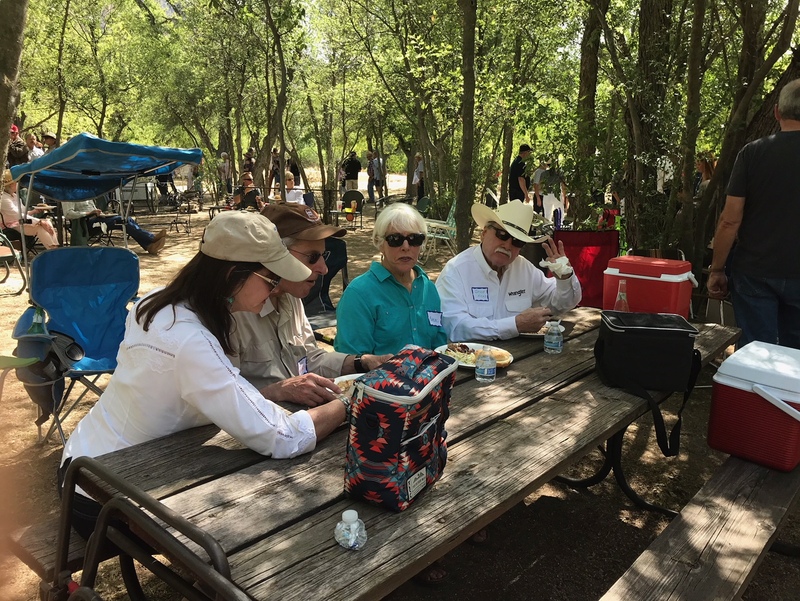 Williamson Valley Community residents experienced the stark, albeit terrifying, reality of having a wildfire at their doorsteps in 2013. Having a Central Yavapai firefighter in full wildland turnout gear on your property and feeling the searing heat of the advancing fire made Jim Buchanan thankful that he and Barb had worked hard earlier that year to remove literally tons of hazardous vegetation from his ranch. The Sundown Ranch had prepared for the inevitable wildfire. Creating Defensible Space around your home will help to protect your property from a fire by providing a safer environment for first responders to defend your home. Creating Defensible Space around your home in the face of an advancing wildfire is risky business And if it is too perilous for firefighters to defend your home, they will move onto the next structure that they can safely defend. The final objective is to preserve lives and land PAWUIC has helped to create more than 32 Firewise® communities to achieve these three goals over the last quarter century.The Commission is an all-volunteer, non-governmental organization bringing together public safety organizations, government forest and land services, and homeowners to solve the issues associated with living in the wildland urban interface (WUI). PAWUIC has brought more than $6 million in grants to subsidize landowners’ costs to remove hazardous vegetation from their properties and create Defensible Space around their homes. 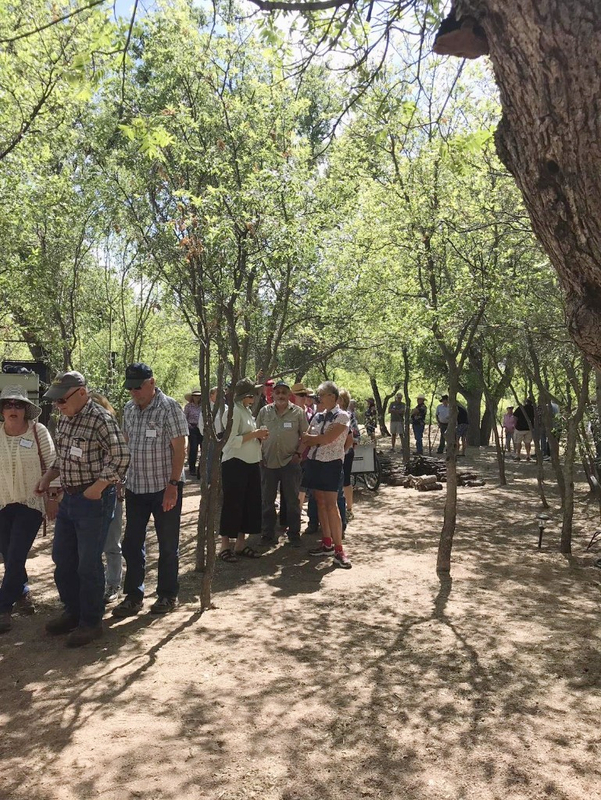 We are currently working with the Natural Resources Conservation Service to develop a program for ranchers/homeowners along the border with the Prescott National Forest to create a fuel break. Visit us at www.yavapaifirewise●org for more information or call 928-277-8032. 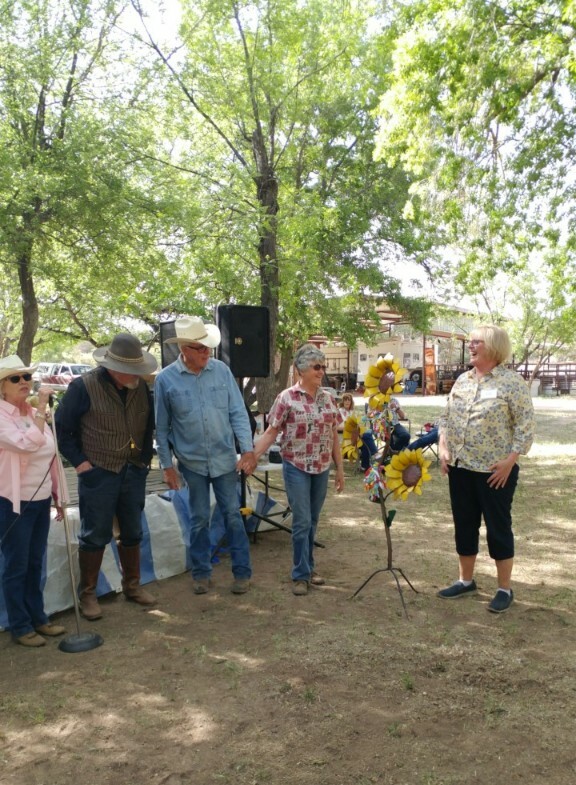 To help support PAWUIC and in recognition of the assistance it has provided to Williamson Valley communities, the WVCO Board recently voted to donate $200 to PAWUIC. 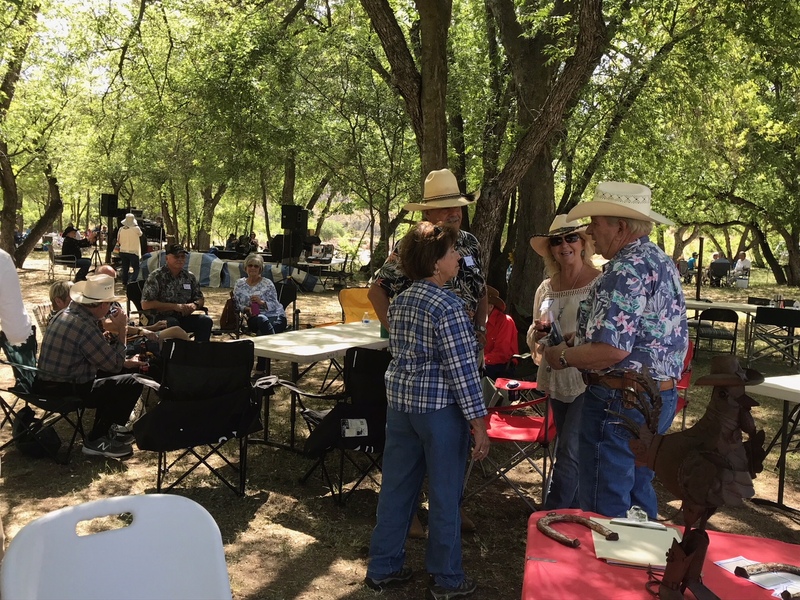 • Information and education on how to reduce wildland fire danger by means of an annual EXPO, meetings, training, newspaper articles, helping local communities gain Firewise® community certification, and maintaining its regional information web site. • A source of grant funding for area fire department efforts to reduce fuels and mitigate other fire dangers. • Training scholarships for area firefighters at the Arizona Wildfire Academy. • Supporting efforts for economically and environmentally sound ways to utilize the biomass generated from fuels reduction and forest health projects. • A most important monthly forum for sharing ideas and coordinating efforts among the involved agencies. Time: 7:00 AM on the 1st Thurs. of each month in the Freeman Building at the Prescott Rodeo Grounds, 840 Rodeo Dr. The public is always welcome to attend. Becoming a volunteer is a rewarding experience. Central Yavapai Fire Department recently was awarded a 90/10 grant through PAWUIC that expires September 30, 2017. CYFD will provide pre and post property assessments for creating defensible space to homeowners at their request. This includes photo documentation as well as a written recommendation of hazardous fuels to be mitigated. The homeowner will hire a licensed contractor to complete the recommended work. Upon completion, the property owner can be reimbursed up to 90% of their expenses. The maximum reimbursement is 90% of $1,000.00/acre, up to 1 acre. ¼ – ½ acre of defensible space cleared around their home. We are hoping that residents in this area will participate and we can use up the allocated funds. Once the funds are used up we still provide defensible space assessments to property owners, just with no reimbursement. For an appointment residents can call CYFD at 928-759-9933. Central Yavapai Fire District will continue its dedication to provide fire wise protection for all Williamson Valley homeowners. 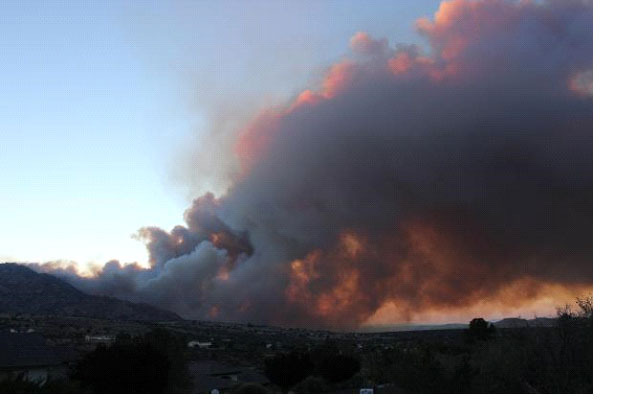 The Williamson Valley Fire Department will also assess your property and discuss how to make it defensible. Call the Department at (928) 717-2304 to schedule an assessment. The Yavapai County Sheriff’s Office now utilizes CodeRED® as its Emergency Notification System(ENS). With this service, we can send messages to residents and businesses within minutes with specific information when an emergency or time-sensitive issue arises. Although ENS does contain published landline phone number information by default, the Sheriff’s Office may only get landline phone data updates twice a year. This is why it is vital that you register all your phone numbers, including mobile numbers, directly to assure contact in an emergency. Where is the Williamson Valley Community? Some of you may wonder what or where is the Williamson Valley(WV) Community. The WV Community is united by Williamson Valley Road from its intersection with Iron Springs Road at the south end to Campwood Road at the north end. All communities or homes that access Williamson Valley Road are considered part of the WV Community. The map below shows this area.